The challenges facing rural and small town startups include: a lack of an entrepreneurial ‘ecosystem’; small size of the local market; limited access to funding. Access to funding is changing with new forms of capital raising, such as by using equity crowdfunding platforms, accessible everywhere and that make special sense within a rural community. Even though rural startups miss out, there is much help at hand for rural and small town startups. There are many more, but the seven sources below are among many ways they can be well supported and thrive. The leveling effect of the Web allows you to compete with multinationals. You can set up your business on the kitchen table, make your own website, add PayPal, and then delight in your sales at the same time as you stir the soup. For instance, you can build your team in different locations without traveling, using free collaboration apps like Podio, free for up to 5 users, Flock, with free and pro versions, or Ryver, free because they make money from add-ons. The availability of online learning is leveling the educational map. Here come silicon prairies, digital villages (many are being established in Asia and Africa, but why in the US, too? ), and mobile hamlets! The Web enables online access to higher and technical learning opportunities, through sites like Udemy, EdX, Khan Academy, MIT Open Courseware, Coursera, and of course, YouTube and Podcasts galore. Many new forms of funding are now available. This applies very much to rural areas. For example there are Community Supported Businesses, where local people provide direct backing often through advance payment for goods or services. A Direct Public Offering, is a type of offering where the company offers its securities directly to the public to raise capital. An issuing company using a DPO eliminates the middlemen – investment banks, broker-dealers, and underwriters – that are typical in initial public offerings (IPO), and self-underwrites its securities. There is Cutting EdgeX, an online marketplace that connects everyday investors with independent, social enterprises that need growth capital. Crowdfunding can provide funds, too. For the small scale funding normally needed by rural and small town startups, reward crowdfunding can be used but though it works well, the amounts raised tend to be limited. Here’s an example: the seed sheet produced by Seedsheets, a Vermont rural startup $30K crowdfunded on Kickstarter in December 2014. However there are now specialist equity crowdfunding platforms, where capital can be raised direct. More and more food hubs are developing in rural communities. They often enable small food processors and manufacturers to share facilities and learn from one another, for example by using a community kitchen. To learn more about one, look at the Vermont Food Venture Center. Another example of a local food hub is Quad Cities Food Hub in Iowa. The USDA publishes an excellent Directory of Food Hubs across the nation (currently it lists over 200). The Department of Agriculture encourages them because there is a policy to encourage small scale local food and agri production. Though much publicity is given to incentives for major companies to move to a new location, there are wide variety of grants and incentives available to rural and small town startups. For example, the USDA offers a Rural Business Investment Program , and the Federal Government has a Directory of Resources and help available by State. Another avenue for rural and small town startups is the SBIR (Small Business Innovation Research) award — The SBIR award is one of the only federal grants available to for-profit entities and small businesses in particular. The Environmental Protection Agency offers a National Award for Smart Growth Achievement; indeed the Brattleboro Food Coop (on whose Board I served for 3 years) in Vermont won such an award. Another lucrative avenue to explore, and often forgotten by rural and small town startups is the whole field of public contracting. There are incentives offered for small business and minority-owned companies. Look at what your own State offers; in my State of Texas, here’s a list, for example. 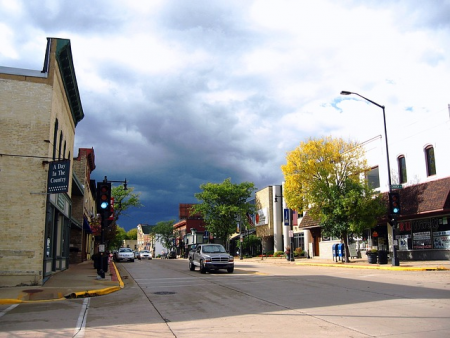 You don’t necessarily have to set up a company to establish a rural or small town startup. You might simply operate as a solopreneur and register a DBA (Doing Business As), so that you have a name that relates to your activity. This avoids the formalities associated with an LLC or corporation, but of course you would not get limited liability protection. Another route could be as a co-op, such as a food co-op, or a worker co-op. You could register as a Benefit Corporation, or a limited profit company (L3C). It’s all about what is coming to be called the ‘Fourth Sector‘ or the ‘For-Benefit Enterprise’. Another page of this site will guide your selection of which of the business entity types is right for your venture. Rural and small town startups have many advantages over urban equivalents. Working space is much less expensive and many rural entrepreneurs set up at home. Here’s a new idea that’s becoming popular: the ‘hoffice’. That’s an office at home that you can share with a small number of other micro-enterprises. It’s sort of an incubator without the overhead. If your office is well set up with desks, printers, or say a 3-D printer that can be shared, you could even add extra income. You want to know more: visit hoffice, a Swedish website in English. You may also be lucky enough to find a coworking space in your own area. They provide a less expensive, more flexible options to taking a space of your own + they provide excellent opportunities for networking. * How do I know this? Because there are 56 million people in the US who live outside cities (Census 2010)—19.3% of the total population. And, according to the Global Entrepreneurship Monitor 2013 US report, 56% of adults between 18-64 believe that they have the capabilities necessary to start a business. If you are a rural American with business aspirations, you may feel much more daunted than your city equivalent, but more and more rural and small town startups are being created outside big urban centers. I remember building my first startup and feeling very anxious about moving from a city to a small town. That anxiety was soon dispelled when our clients applauded our move and actually cherished visiting us much more than they had before the move.